It was not long ago that this parcel was valued at 1.5 million…now price reduced to $695,00 for a quick sale..16 acres of rolling land with dozens of oak trees. 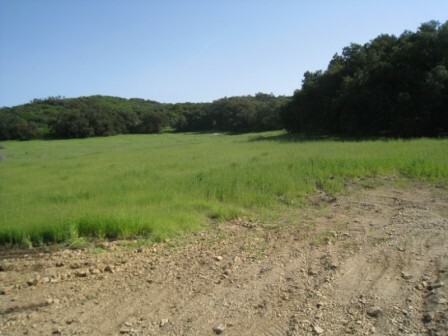 This west Malibu ranch or estate site is centrally located on Mulholland, approximately 7 miles from the coast. Great for horses and the ranch of your dreams, it offers acres of useable land while affording privacy and sophistication. Hundreds of feet of flat frontage on Mulholland. Formerly known as the “Owl Ranch” this is Malibu Land at it’s finest. Seller has purchased a home closer to town and is liquidating. With over a million dollars has been invested, you can be the receipiant of one of the finest Malibu land opportunities available. Parkland and trails in close proximaity make this a recreational investment as well. Call for a private showing. ©2014 Malibu Dreamland and Chris Frost. All Rights Reserved. DRE LIC 00499287.